This textbook will serve as a concise review of preventive medicine and public health topics that are relevant to any preventive medicine, occupational medicine, internal medicine, or aerospace medicine physician or resident who would like a comprehensive review of the topics in preventive medicine and public health. It will also serve as an ideal textbook for review before preventive medicine board examinations for candidates taking them for the first time and those taking them for recertification. This textbook is a one-of-a-kind review textbook for residents, scientists, educators, and researchers in the field of preventive medicine and public health. It has the most updated information presented in a user-friendly format supplemented with end-of-chapter review questions. 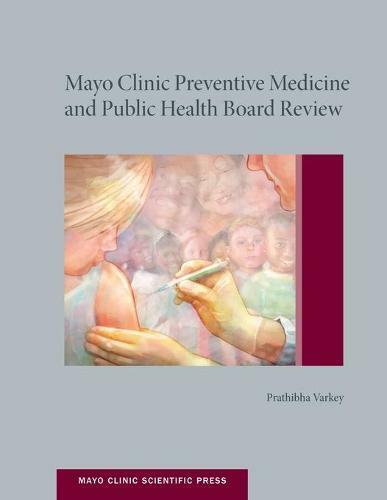 Currently, there are no comprehensive review books covering the range of topics that are addressed in certification and recertification examinations in preventive medicine and public health, and we are excited that this textbook will cover the needs for the same.